Faculty member and fine artist, Steel Stillman will be featured in the exhibition aroundabout Jack Jaeger at Kunstverein Langenhagen in Germany. In this exhibition, Jaeger’s work forms the core of the presentation, to which works of a number of equal-minded artists are added as ‘conversation partners’, among them Anne Collier, Wjm Kok, Rachel Harrison, Aloïs Godinat, Anne Daem,s B. Wurtz, Michaela Meise and Wolfgang Tillmans. The exhibition will run through Febbruary 11th, 2018. For more details please click here. 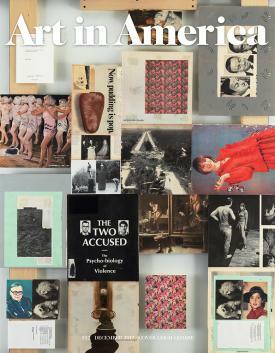 Concurrently, Stillman recently participated in an interview with artist Leigh Ledare about his recent work which is featured in this month's issue of Art in America. For more information and to buy a copy, please click here.